Please note that all natural crystals are unique and have some irregularities in shape, color, and size. 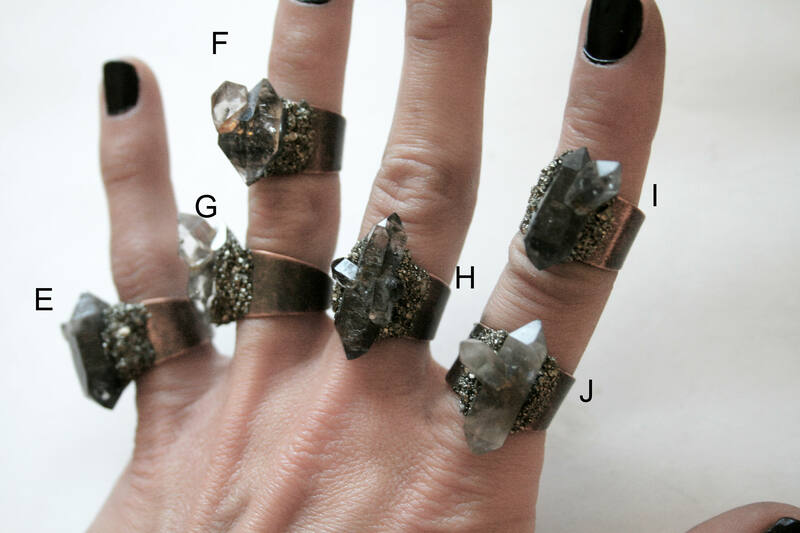 These crystals do have some irregular inclusions and shapes as pictured. 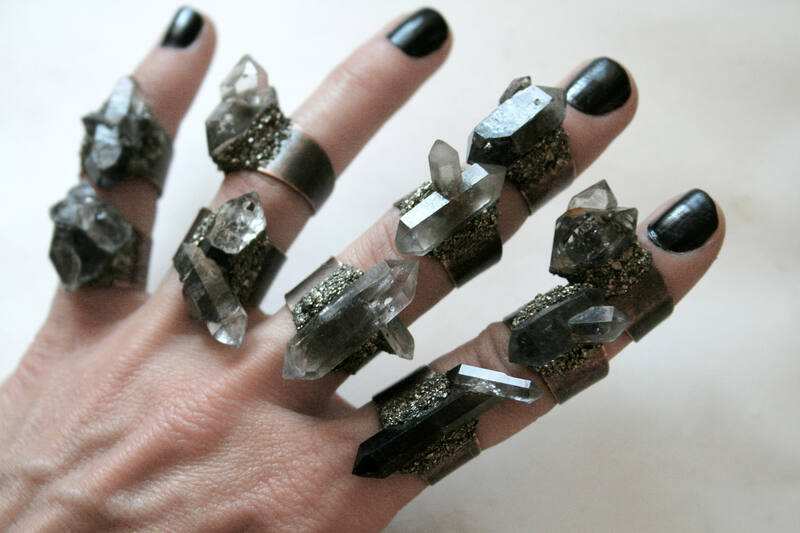 Tibetan quartz is not a solid black crystal and gets color from carbon and minerals inside a clear quartz. 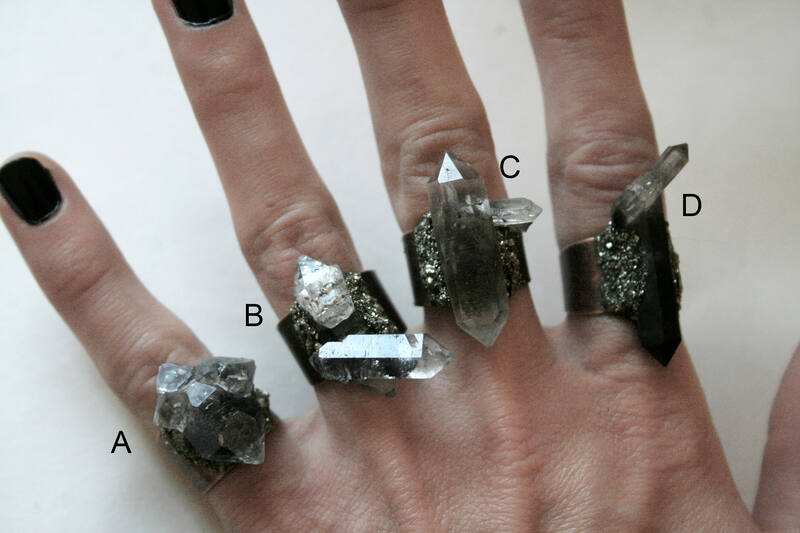 These crystals vary in darkness and may have parts of the crystal that are transparent, or appear clear and filled with dark spots and shadows from certain angles. 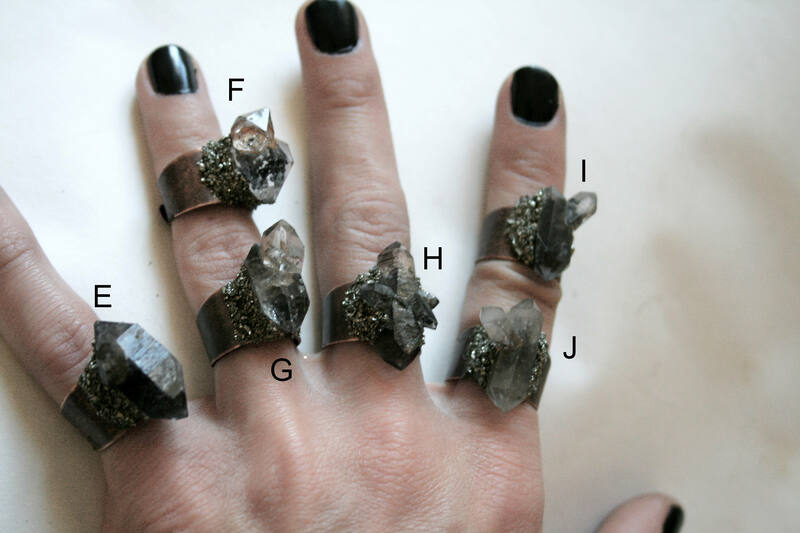 Please do a web image search for examples if you are unfamiliar with Tibetan quartz. You will receive the exact item pictured that you select. my boyfriend got me one of these and I loved it so much I got another one! shipped super fast, beautiful piece of jewelry, high quality. I am just in love with these. 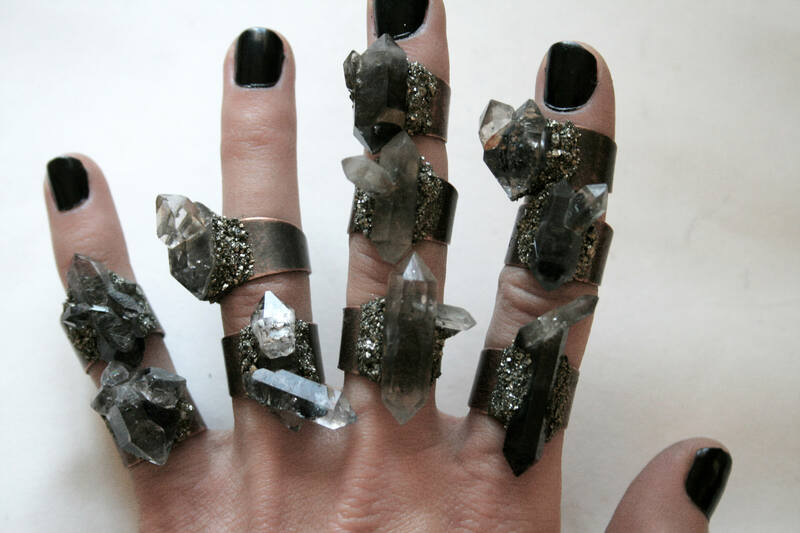 plan to get one for each finger!